Growing up, I hated greens. 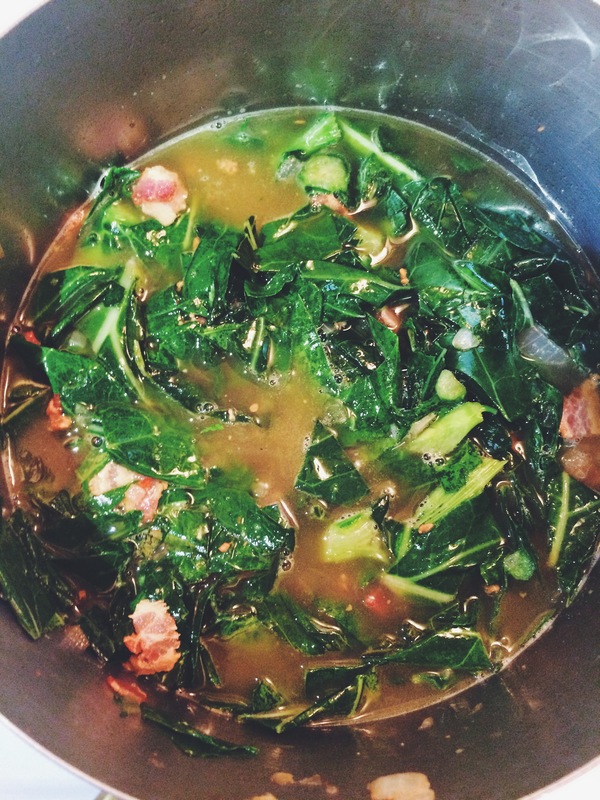 Turnip greens, collard greens, mustard greens, etc. 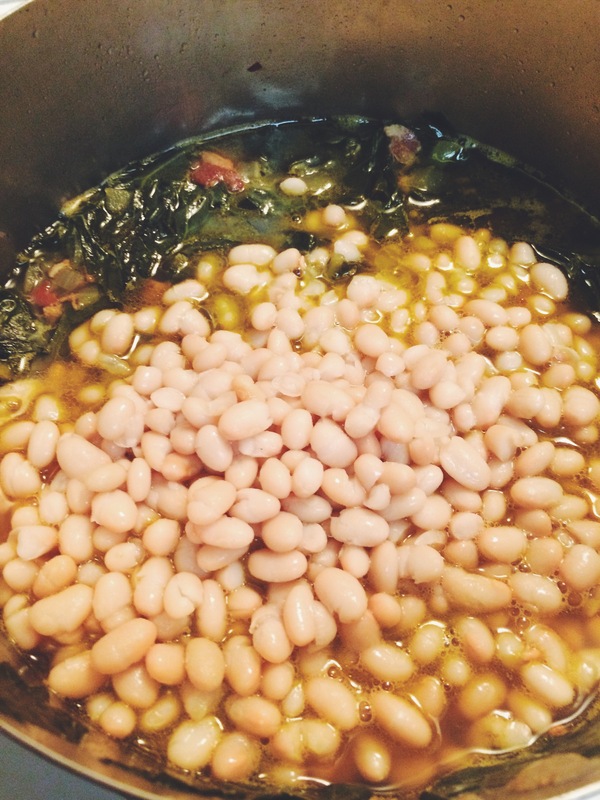 I even hated most foods that were just green in general…spinach, green peas, lima beans. The exception was always green beans because, let’s face it, those are delicious and will always be delicious. But as I mature, my relationship with food matures, as well. There isn’t really anything I won’t eat anymore (except green peas…I still refuse to eat those. They are gross and have a weird texture. No, thank you). And that is completely within you’re right as a forward-thinking human being. As a child, my mother used this phrase all of the time when my siblings and I didn’t want something she made. It was a requirement in our home that we all take a small portion of the foods she prepared to “try.” (We really just pushed it around our plates or fed it to the dogs, but oh well). You see, she worked at a camp called “Cherokee” and it was a practice there that she took and used with us. But, since we grew up hearing this phrase all of the time, we just assumed that it was a common thing (apparently not). We’d go around telling our friends that they had to have a Cherokee serving of everything. They would always turn and look at us like we were crazy. We were so shocked that they didn’t know what we were talking about. They were the crazy ones, not us. Eventually the truth came out, but we all still use it to this day. That’s where Pot Likker soup comes into play. It’s a New Year’s meal in one delicious bowl. For those of you who don’t know, pot likker is the juice left over after cooking greens and it is. To. Die. For. It’s liquid gold and is perfect for the base of a soup. 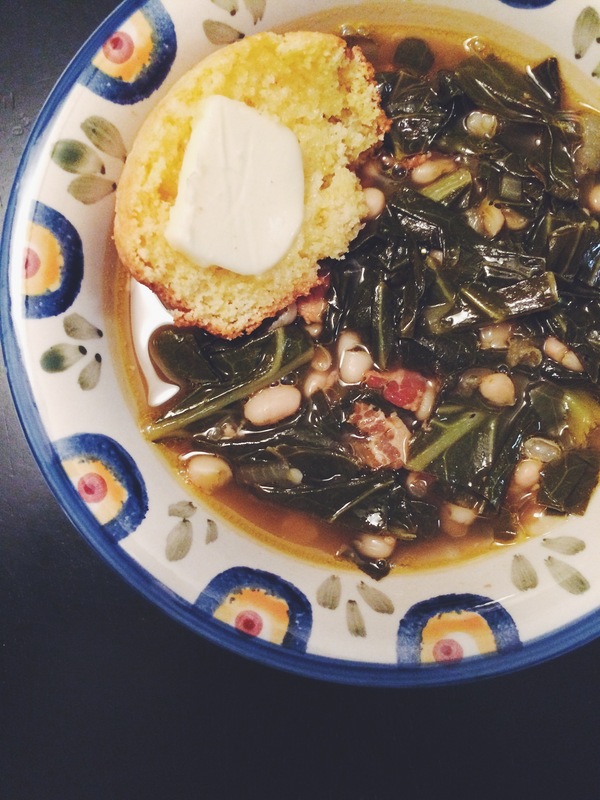 In reality, I make collard greens with double the liquid and just add some peas/beans and call it a day because there isn’t much liquid left after a batch of collards with all the cornbread-sopping that goes around. THE METHOD. Making soup is one of the easiest things to do. You simply cook down the vegetables, add your liquid, and simmer for as long as you want. But I’ll break it down for you below. 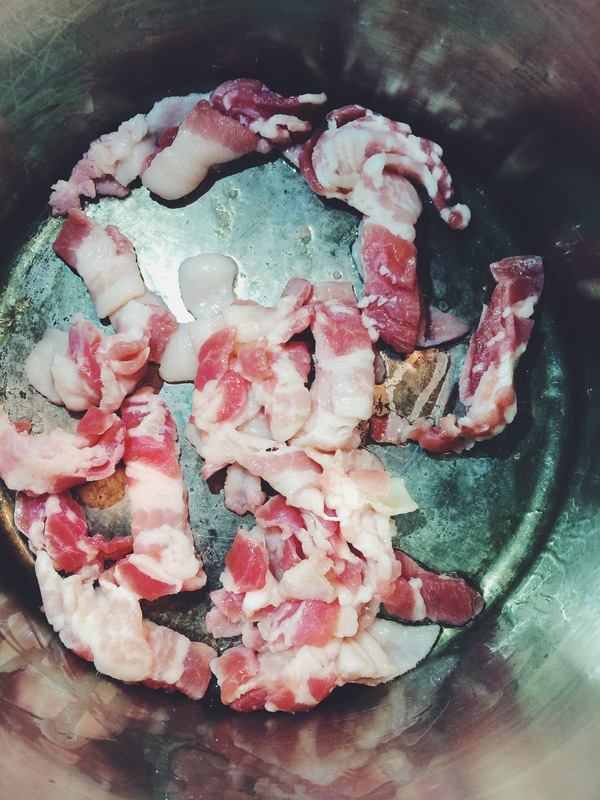 In a large pot over medium heat, render out your bacon to crisp it up. 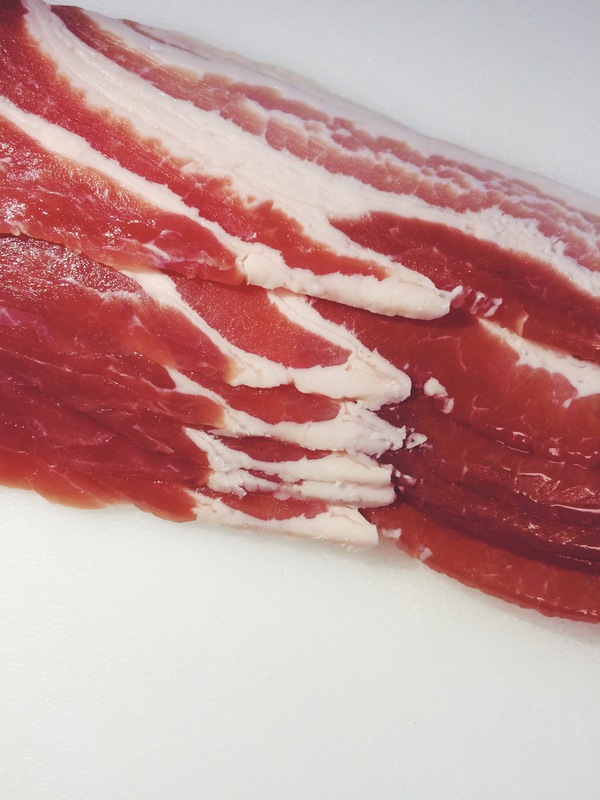 It’s important that you render all of that fat out or you’ll have stringy pieces of fatty bacon in your soup, which is not scrumptious. Once the bacon is crisp, add your onion and red pepper flake and cook down for about 10 minutes. Add your brown sugar and sherry vinegar. I usually use equal parts for a nice balance, but if you want yours sweeter or more acidic, simply adjust the proportions accordingly. 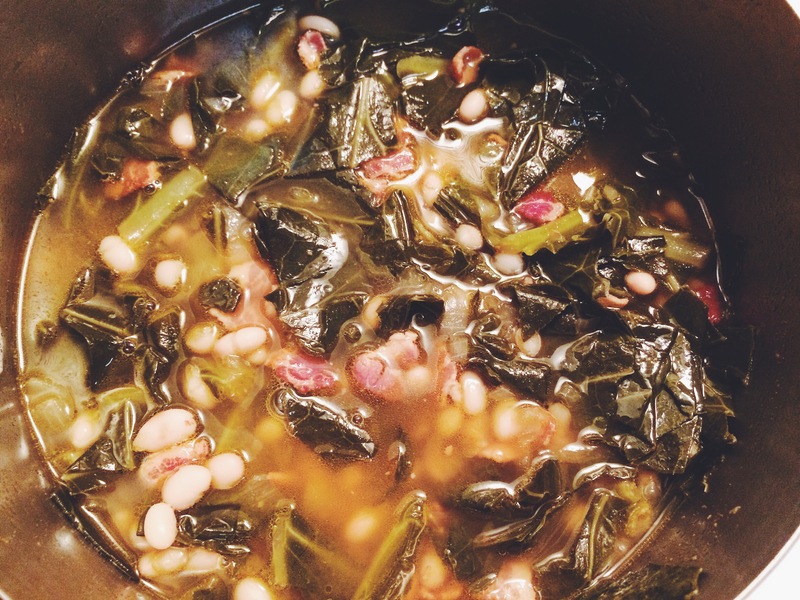 Start adding your collards and cook them down. 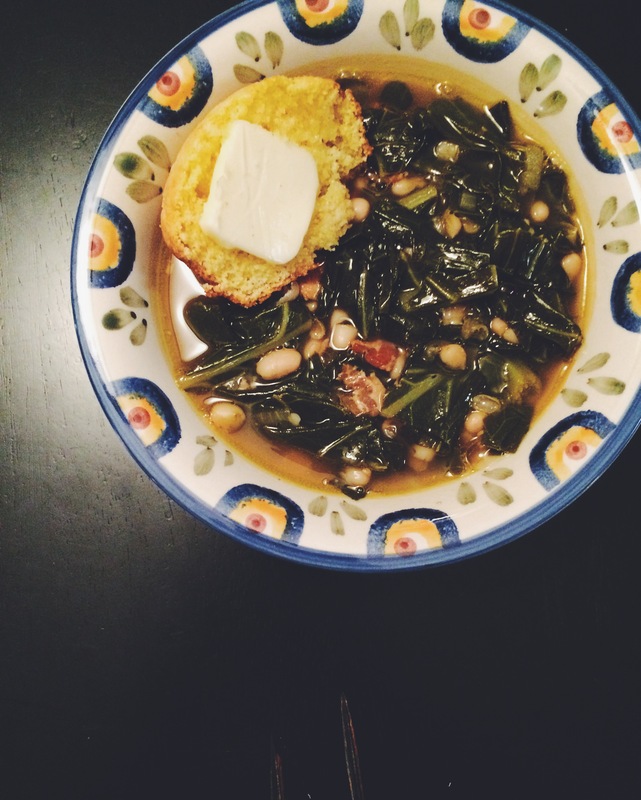 It always looks like you have way too many greens, but they cook down quite a bit so just keep on adding them. Top the pot off with your chicken stock and add some salt. 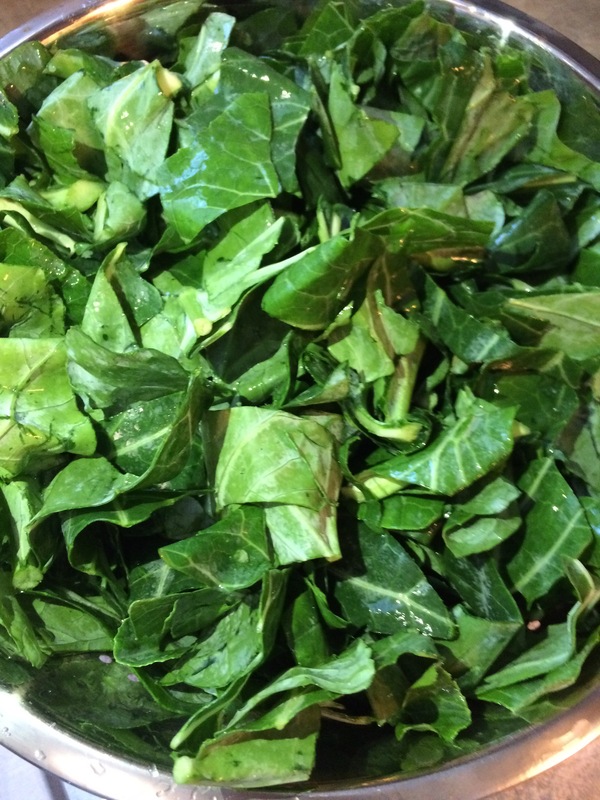 Cover and allow this to cook for 2 to 3 hours or until the collards are tender. Add your beans/peas 20 to 30 minutes prior to serving just to warm them through. ENJOY IT. 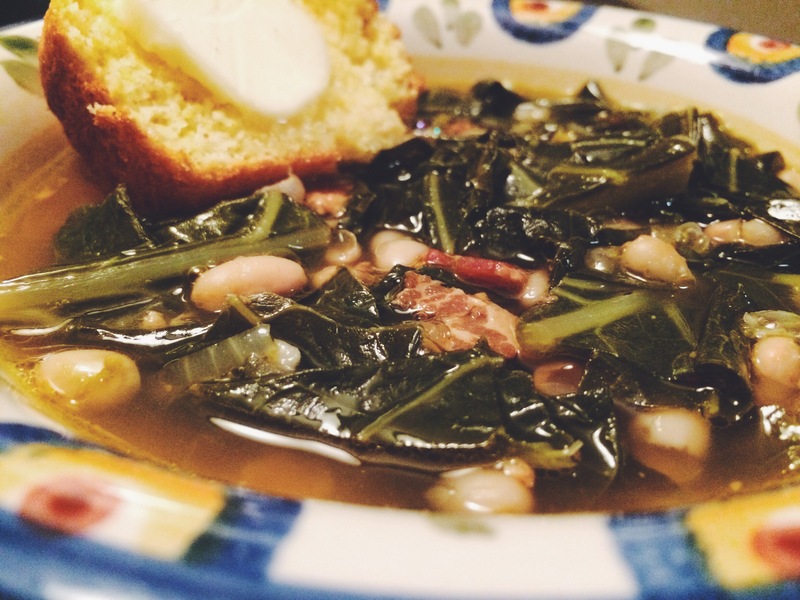 To me, this soup is pure comfort food. It’s warm and incredibly filling. I simply serve it up with some buttered cornbread and it just can’t be beat. Honestly, it’s the South in a bowl and you really can’t have a better region in a bowl, in my opinion anyways.